Must be used with a box spring to support the mattress. On all sizes, the box spring sits approximately 11 H from floor. 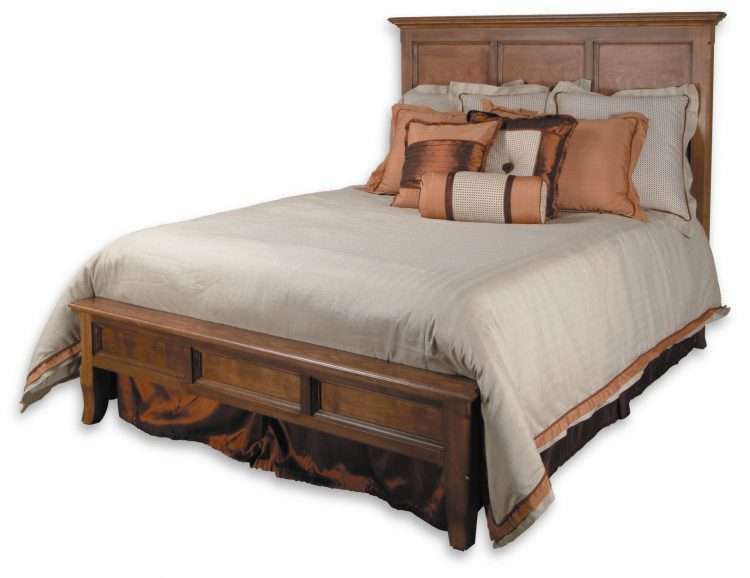 Clearance at floor under the footboard is approximately 9-1/4″, under the headboard is approximately 12-1/4″. While our headboards are made to fit our frames and footboards, Headboard Only is available as HLB1H, HLB2H, HLB3H and HLB4H. Ships in 3 corrugated cartons: Headboard (105 lbs), footboard (42 lbs) and side rails/slats (52 lbs).